Note: Some prizes (sporting events) are time sensitive. Please contact Eugene Bunys (eugene.bunys@hotmail.com) if special arrangement should be necessary in order to redeem your prize. All unclaimed prizes shall be assigned to a secondary draw effective October 15, 2018. To collect your share of the 50 / 50 Prize Money, either stop by the Operations Control Room on the dressing room level or send an email to bohahockey@gmail.com to arrange to pick it up. Winners will have until October 7, 2018 to claim their prize, after which time the money will be donated to charity. 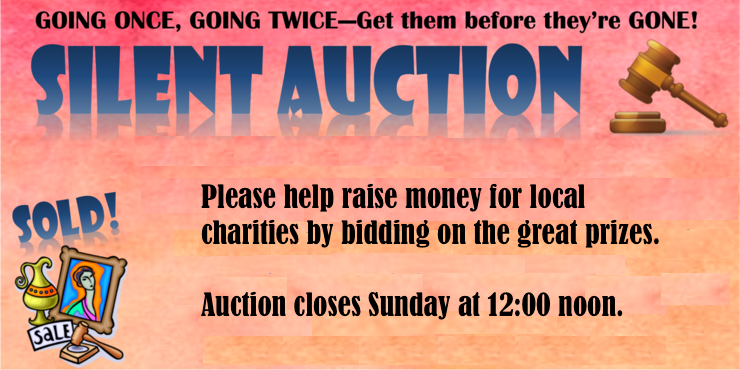 Silent Auction closes on Sunday 9/30 at 12:00 pm. To collect your Silent Auction Prize, stop by the Operations Control Room on the dressing room level or send an email to bohahockey@gmail.com to arrange to pick it up.